Boy racers everywhere are up in arms after police have begun clamping down on noisy cars. Police in Seaton are now actively seeking out noisy cars with top of the range sound level equipment which should allow them to identify any cars which need to put a sock in it. I just hope they get the fat teenager on my road who is always revving the engine on his second hand Audi A3 which has been ruined by a bunch of unnecessary modifications. Apparently they have the power to pull you over and warn, fine or even prosecute you if you’re car exceeds 82 decibels…. It is hardly surprising to hear that crime isn’t exactly rife in the streets of Seaton. We have come to the conclusion that this law is a little bit silly. 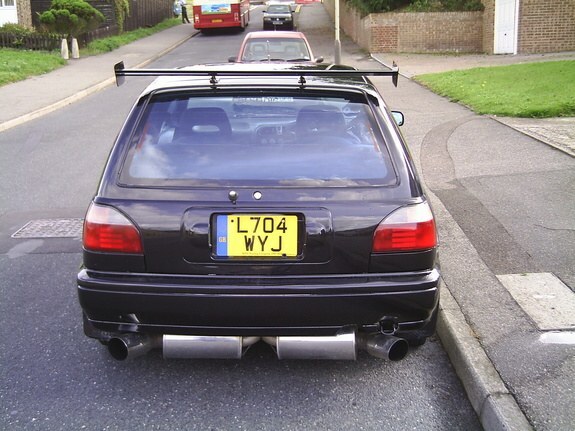 It also seems stupid that your exhaust pipe is allowed to pollute the environment all it wants, unless it’s with harmless noise, then it is a problem worthy of police attention. On the other hand, I am more than happy to support a law that sticks it to the boy racers, who have somehow managed to have their cars pass MOT checks for years. We at HSVN are self-proclaimed automotive specialists who have started this blog site in order to put our motoring opinions out for all to see. If you have written something on cars that you would like to share we would gladly consider posting it on our site. Don’t buy a car that is only going to depreciate!